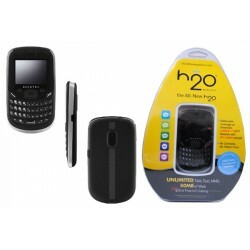 For H2O Wireless - Unlimited Talk, Text, MMS + 50MB of Web plus $20 of Free International Calling. - Nationwide coverage of America's Largest GSM Network with 87+ million people- No Contracts, No Hidden FeesRefurbished. 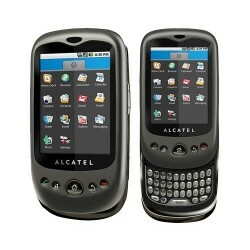 The Alcatel OT-981A may look like your typical touchscreen phone, but don't be fooled, this is a QWERTY phone as well. Tucked underneath its 2.8-inch 240x320 resolution touchscreen display is a slide-out 4-row QWERTY keypad that's ideal for text input. 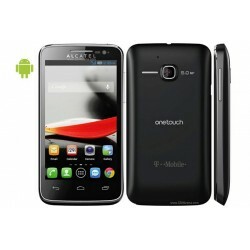 Alcatel OT-606 One Touch CHAT is a mobile phone in the slide form factor. It is necessary to note the presence of a digital camera 0.3 MP, microSD up to 8 GB, GPRS Class 10 (4+1/3+2 slots), Bluetooth v2.0+A2DP, USB v2.0, WAP 2.0/xHTML, T9. Brand New. 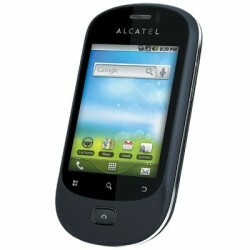 Alcatel OT-905A is a candybar phone with 2.8" resistive touchscreen. 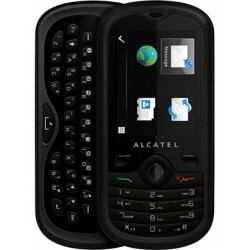 It has 2MP camera, FM radio with RDS, Bluetooth, and supports up to 32GB microSD memory cards. Brand New. 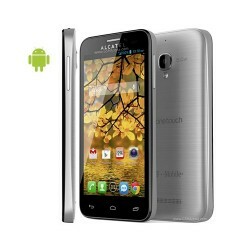 Alcatel One Touch OT995 Ultra is the latest Android powered smartphone from the company. 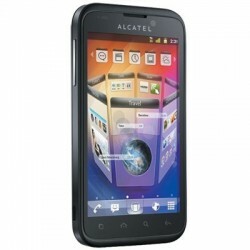 This new Alcatel mobile features 4.3 inch touch screen display out with 480 x 800 pixels resolution. The device has a 4.92MP rear shooter with 2560 x1920 pixels resolution, built in flash and 1 x digital zoom. Brand New. The Evolve comes with a 4-inch (800 x 480) display, 1GHz processor, 512MB RAM, 4GB of internal storage, microSD slot for expanded storage, 5MP rear camera, and Android 4.1. Unlocked. Refurbished. Android 4.2 (Jelly Bean), WiFi, 5 Megapixel Camera, Face Time Live Talking, Quad-core 1.2 GHz Processor, 1 GB RAM;M3 & T3 – Hearing aid compatible, HD Camcorder 720p, Games,Personal and Work E-mail,Real GPS with Navigation Capability, International phone, Memory Card Slot (microSD), Removable memory. Unlocked. Refurbished.